Why would you want to keep your copyrights when you’re not planning to republish? This was actually the first time I’ve thought about that question in that way. Of course nobody’s planning to take the same volume to another publisher, and realistically a whole huge volume isn’t something normally republished in PDF online, either. So realistically, what might a scholar reply to this question? Here’s what I came up with this morning, but I’d love to hear your thoughts on the matter. You are not being paid, so it makes sense to retain ownership of the thing you produce. 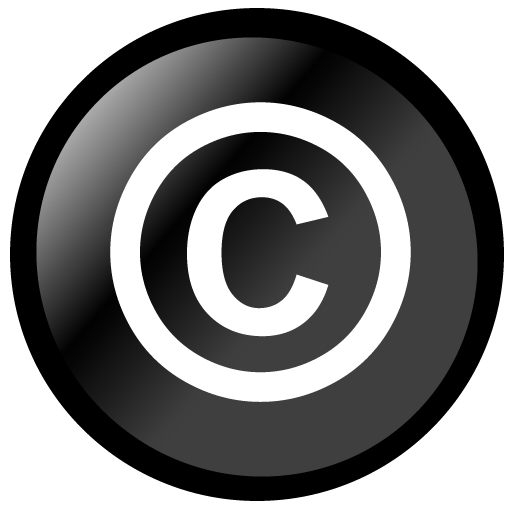 Further, if you repurpose your material in the future, it will save you the time and expense of seeking copyright permissions to use your own work. You give many presentations that might benefit from the inclusion of the material you produce, you teach courses where you might want to reproduce or display portions of your work. You may want to distribute a “good parts version” at a conference (which would further your goal to share knowledge widely and would also be a good teaser for people who might have been on the fence about buying the full work). In addition, once the publication goes “out of print” you’ll have recourse to find a new avenue for distribution. You are certainly not trying to limit the publisher’s work in any way, but you would prefer not to have them limit your work. I can imagine a clause in the contract (though I’ve never seen an example) where you also agree not to produce a directly competing product. You’d want to word that carefully so that they couldn’t claim breech of contract with other, similar scholarship that you would produce with or without owning the copyright to this particular work. Realistically, you’re not going to take this work and re-publish it on your own to compete with their version of the volume, but they may want that in writing. I also shared my ACRL author agreement with him (still my gold standard for author agreements). I’ve only ever published with library types, so I don’t have to articulate all this stuff when I ask for a non-exclusive agreement — it’s kind of built into our profession. Have you had similar conversations? What resonated well? I’d turn the question around: Why on earth should the publisher acquire the copyright? In the non-gift publishing economy, it doesn’t usually work that way: Magazines buy first serial publication rights, typically, and many book publishers buy a set of rights that will revert when the book goes out of print. (I’d bet that, if you check the copyright page of 100 single-author big-publisher books at random, you’ll find that a minority–probably a small minority–show the publisher as copyright owner.) I think it’s up to publishers who believe they should acquire more rights *for free* than most other publishers do *for money* to explain why that’s legitimate, and I don’t think it is. To me, that signals a lack of understanding of the range of things you can do with a non-exclusive agreement. My agreement gave publishers permission to do all of those things and more. I would dearly love to invite this publisher to coffee or something so that I could get more of a sense of the argument from his side of the equation. And I might lead off with the question you pose, Walt. See if he can walk in an author’s shoes for a while. I can give a real live example of good reasons. A Professor of Architecture took photos of a particular city centre redevelopment project, before it started, whilst it was underway and on completion. Then he wrote a book on the subject, including the photos. He assigned copyright to the publisher. A while later he wanted to use some of the photos in a presentation he was giving. He did the right thing and asked the publisher for permission. The publisher told him it would charge a fee of thousands of pounds. Result: no presentation. Whilst he could return to the cry centre and take pictures of it now, he had lost the rights to reproduce pictures of it before and after. Melanie, yes that would work for me. But how to explain that to a skeptical publisher who’s only thinking in terms of competing publications? It’s interesting to me that publishers have such a narrow view of copyright that they simply can’t think of reasons you might want to keep yours other than to publish the work with a second publisher.